Psychology is defined as the science of behavior and mental processes. As a discipline, psychology covers a broad field of study ranging from brain mechanisms and behavior to clinical practice. 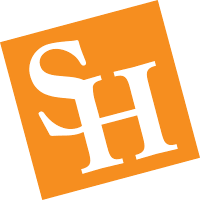 The psychology program at Sam Houston State University (SHSU) offers courses covering all aspects of psychology and prepares the student for a better understanding of how and why behaviors occur. Since a career in psychology typically requires a graduate degree, the Bachelor of Science in psychology at SHSU is designed to prepare you to progress toward that goal. In addition, the program is designed to provide you with a well-rounded liberal arts education. Our graduates have been highly successful in moving into management positions with large companies, working as police officers and as representatives for pharmaceutical firms, and working in the public sector in areas such as human services and public relations. Students wishing to pursue a Bachelor of Science degree in psychology are required to take particular courses that are related to all areas of psychology and then to sample at least two courses each from various blocks of courses, i.e., Social Development, Clinical-Counseling, and Experimental. With this background, you will acquire knowledge of all of the various approaches psychologists use and can more easily decide on the correct career path you wish to pursue. In preparation for graduate school, a minimum of a 3.0 grade point average is expected, as is successful completion of the Graduate Record Examination (GRE). We strongly encourage all of our students to get involved in faculty members’ research programs. These opportunities will enhance your critical thinking and research skills while signifying that you are serious about psychology. Graduate schools consider this sort of training impressive, if not crucial. The Bachelor of Science in Psychology is offered both as a classroom-based program and as an online degree with approximately 75% of coursework available online. The remaining courses require on-campus attendance. View the Psychology Degree brochure (.pdf).